friends and also loose some. But it becomes very difficult to know who has unfriended you or is not willing to be a friend of you anymore. So here we have brought an amazing tool for you which keeps eyes on your facebook friend list and whenever any of your friends unfriends you it informs you instantly. Yes,it is true. 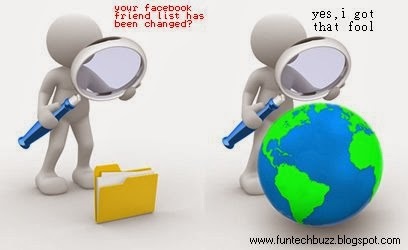 Now you can keep a record of those friends who have unfriended you in facebook for some reasons and it will be easy for you to make up the communication gap or misunderstanding between you. This is the guide for "how to know who unfriended me on facebook". Now log in with your facebook id. Note: After logging in the pop up will show you that “The website directing you here was not a Facebook page. If you entered your Facebook login information on the previous site, you will need to change your password.” Just ignore this message because we can assure you that ‘who.deleted.me’ never cheats with anyone. Once you logged in means it will keep a record of your friend list and when-ever your friend list changes, may be due to someone unfriends you or may be due to someone has added you as his/her friend(i.e. when your friend list increases or decreases) it will inform you through an email which you have to provide there. It will also send you the alert mails when someone deactivates his own account , as it is also treated as unfriending and will be added back to your account when he again activates it. The procedure is very simple but if you find any difficulty then feel free to ask through comments.